Leaving Talkeetna our next destination was Palmer. 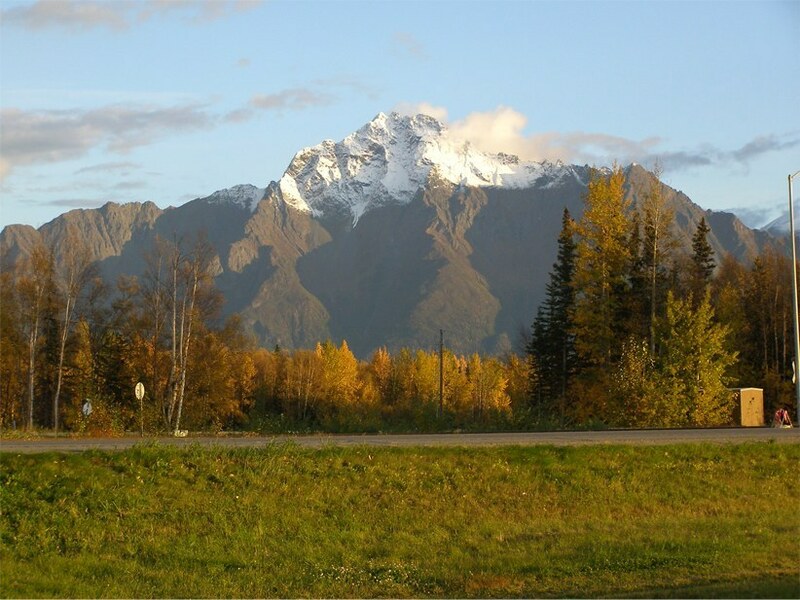 Palmer is in the Matanuska Valley northeast of Anchorage, a wide valley surrounded by stupendous mountains. With the valley floor at an elevation of 240 ft., the abrupt slopes and sharply pointed mountain peaks tower imposingly above rich farmlands. 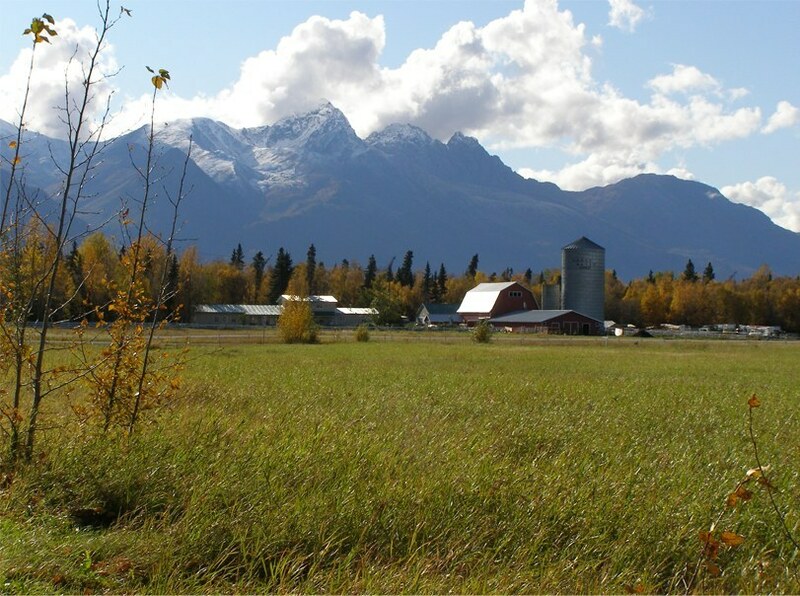 We chose to explore this area because a friend back home described it as somewhat like the farm and ranch areas in Montana near the Tetons. That was true, but on a much grander scale. In 1935, the era of the dust bowl and depression, the Federal Relief Administration, a New Deal agency, sent 203 families to join an agricultural colony in the Matanuska Valley in order to get a few poor farmers off the dole. It wasn't an entirely successful effort but some families stayed and the population grew. 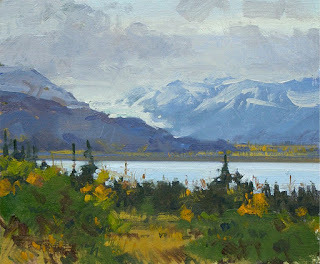 Agricultural no longer dominates but as we explored the region we did see red barns and green fields which make nice subject matter for paintings. We also saw brilliant autumn colors and massive glaciers that were breathtaking. 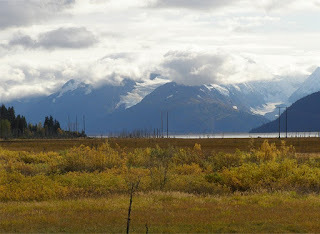 Matanuska River and Chugach Mountains, seen from the Old Glenn Highway loop. All the bushy-tailed squirrels we saw in Alaska were these very pretty Red Squirrels. On an impulse we turned off the Old Glenn Hwy onto Knik River Road. 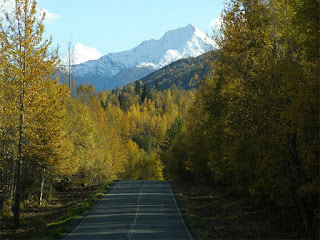 It proved to be a beautiful drive. 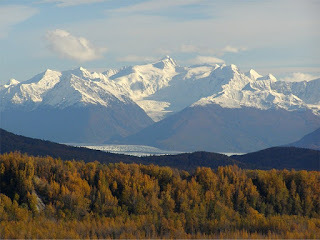 A dramatic sighting of Knik Glacier, a river of ice and source of the Knik River. Mirror-like reflections near Knik River. 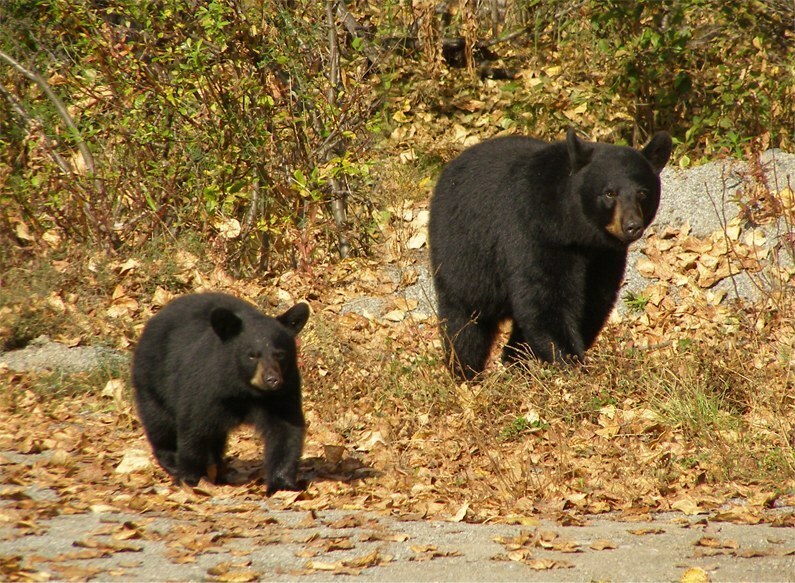 more and more State Park campgrounds were closed for the season. 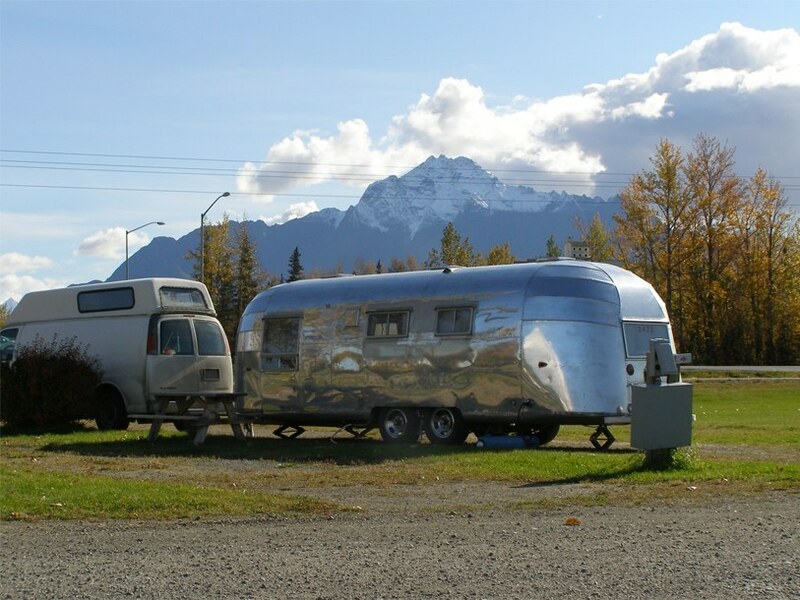 We often ended up in private RV parks. 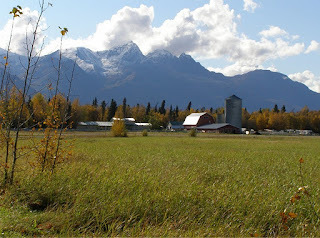 Farmland in the Matanuska Valley. Another spectacular view in Palmer, Alaska. 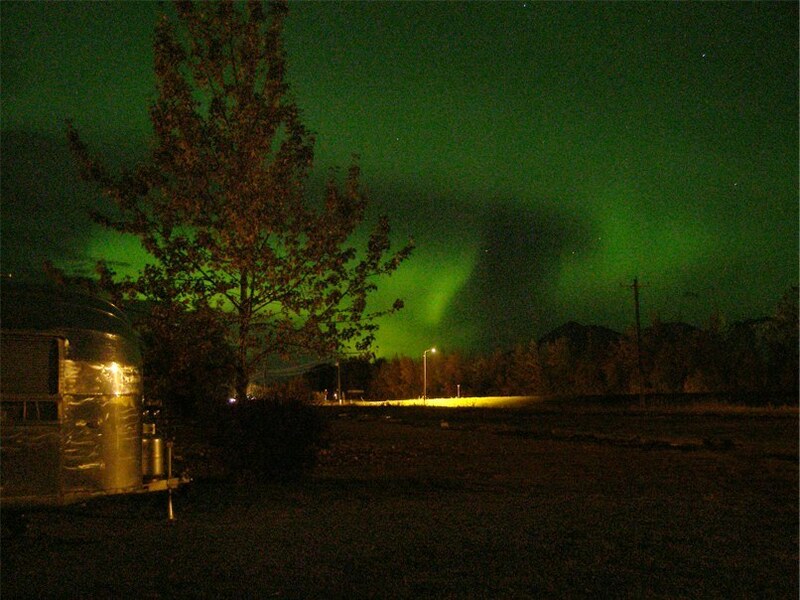 One highlight of our trip – seeing the Northern Lights on our last night in Palmer. We had been checking the aurora forecast website for current aurora activity. 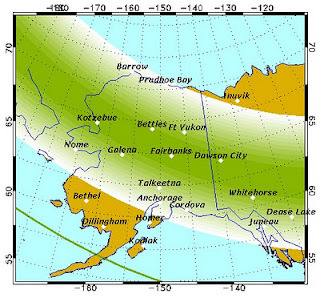 That night the activity level was 4 (on a scale of 1-10) and the visibility range shown on the map encompassed the Palmer-Anchorage area. 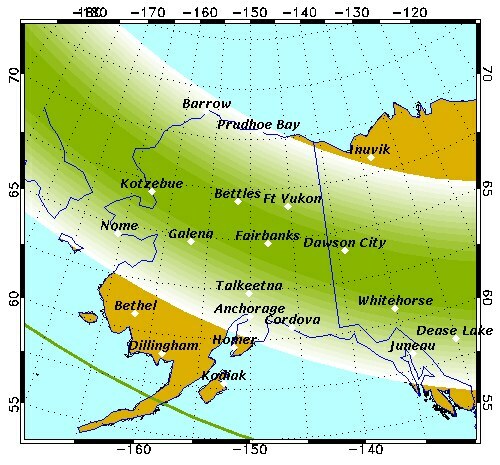 The best time to see the lights is between 11:30 PM and 2:00 AM. We had been collapsing into bed around 9:00 as the days grew shorter. When Sue awoke at 11:30 it wasn't easy to get out of the warm sleeping bag to step outside, but she was glad she did. She woke Spike up and he spent the next hour trying to get a good digital photo (not easy!) It was down to 27° F that night, the first time our water hose froze. 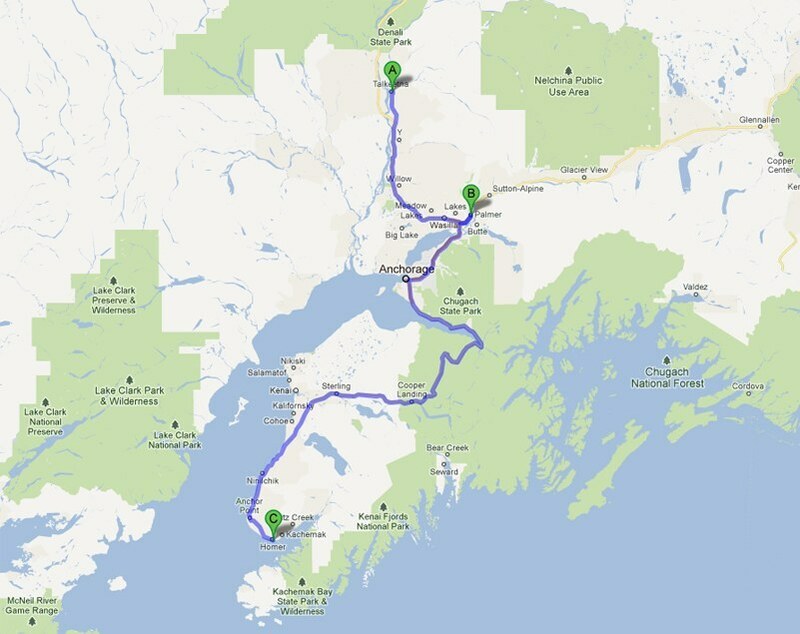 Homer, a town of about 5,000, is located on the southwestern Kenai Peninsula on the north shore of Kachemak Bay. We heard Homer has a large artist community due in part to their relatively mild climate and picturesque setting. 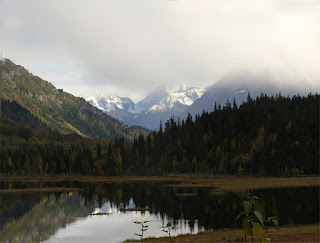 This location was our first taste of the southern coastal part of Alaska. Black bears, mother and cub (second cub is not in photo) We saw this family on the edge of Anchorage very near a big box store shopping complex. They were not at all concerned about our presence. En route to Homer we spotted this Airstream transformation, a terrible fate for an Airstream! 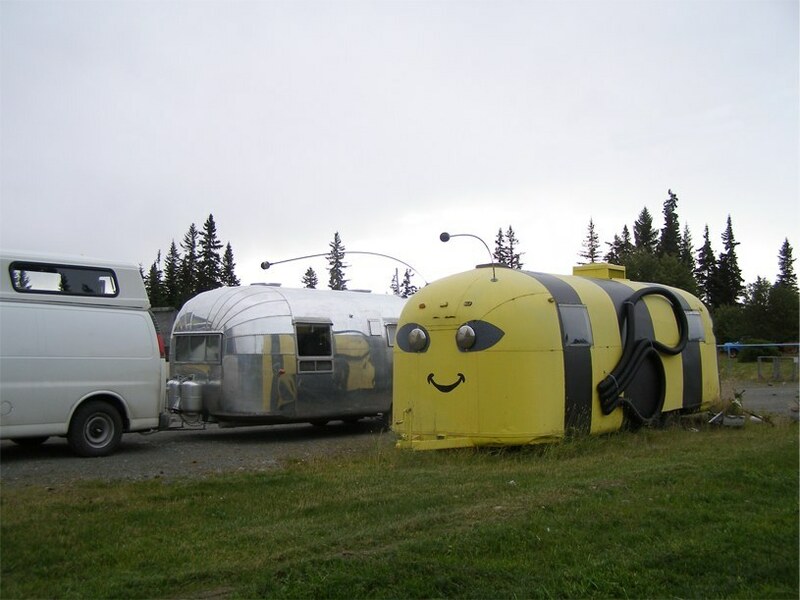 But we then realized that Beatrice Bee of the Beehive RV Park made a very effective mascot to attract the attention of travelers. Moonshadow just had to stop by to say hello and get a closer look. 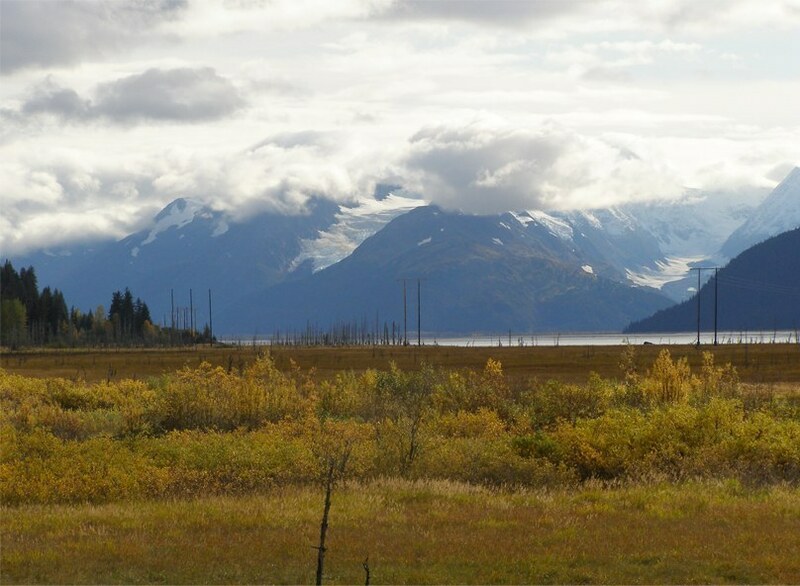 View of the Chugach Mountains as we drove along Turnagain Arm, an inlet named by Captain Cook who was seeking the Northwest Passage in 1778. He thought it was a river and was greatly disappointed when he reached the end and had to turn around again. 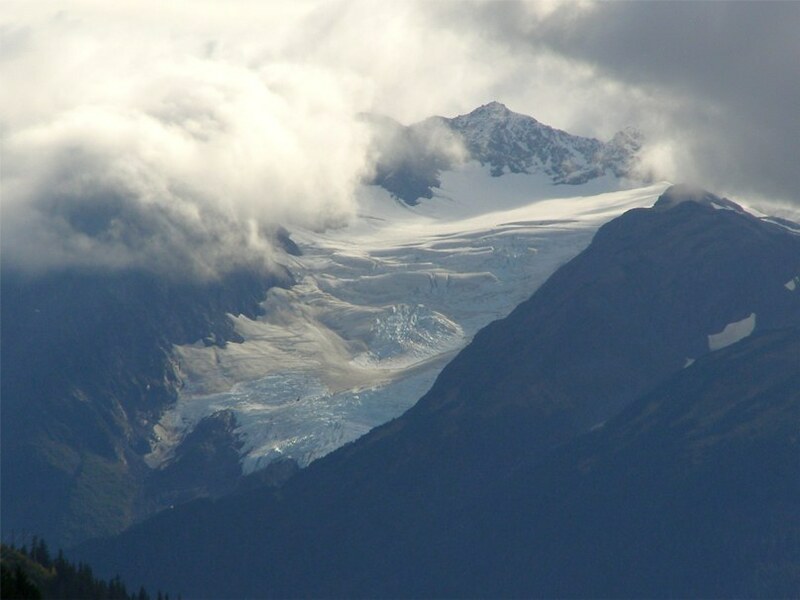 We took a short side trip off the route to Homer to see Portage Valley, a narrow glacier carved valley where one can see 6 glaciers flowing down towards the valley, though all have receded greatly in recent years. 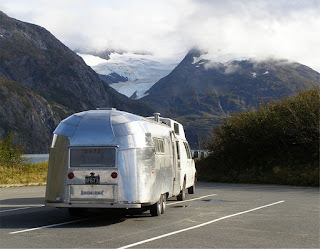 Moonshadow with a view of Portage Glacier and lake. 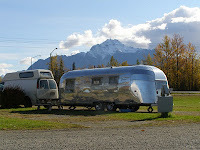 We stopped for lunch in the empty parking lot of the Portage Valley visitor center. Sadly it was closed for the season. Moose cow with twins crosses the river as we leave Portage Valley. 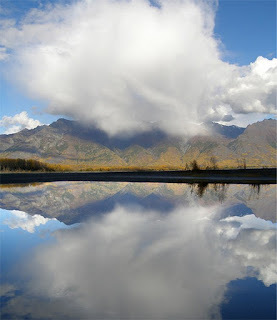 We saw this classic scene of mountains, clouds and lake along the way. There was no pull-out but being off-season with hardly another car on the road we were often able to take a quick shot from the roadside shoulder. 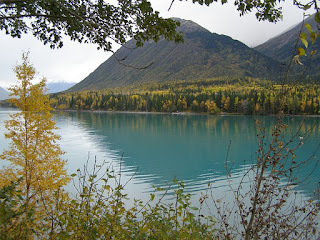 All over glacier country we saw this amazing turquoise blue in lakes and rivers. 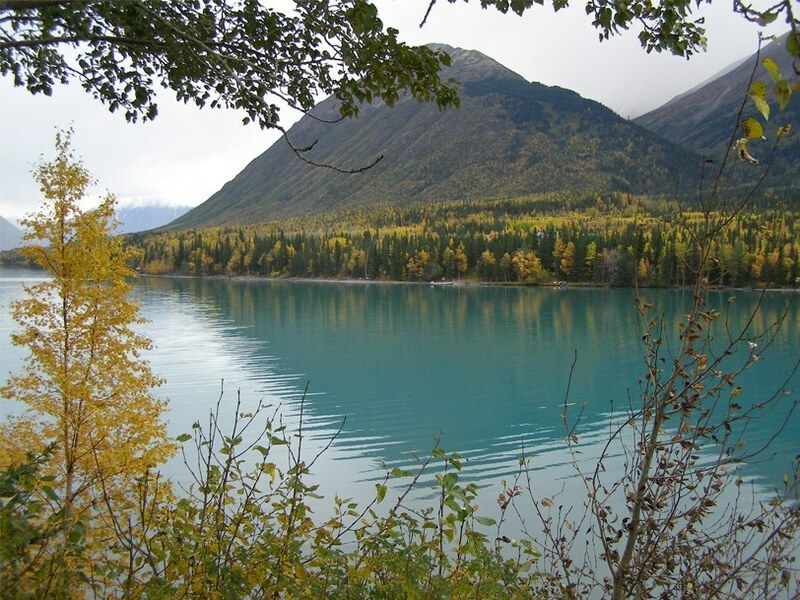 It is caused by what is called “rock flour.” As glaciers move over the land, the rocks they pick up are ground to fine dust particles that become suspended in the water. This causes the light to reflect turquoise blue from the milky surface. We arrived in Homer and got this beautiful late afternoon view of the Spit. 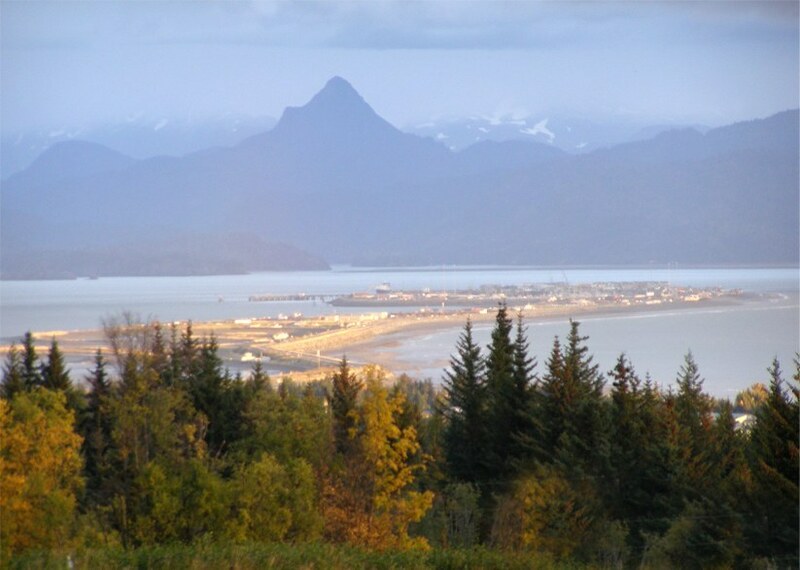 The Homer Spit is a narrow bar of gravel that juts out 4.3 miles into the bay. In the big earthquake of 1964 parts of the Spit sank 4 to 6 feet, forcing some buildings to be relocated. Today it is the site of a major deep water docking facility and lots of touristy shops and eateries. Homer is a popular halibut fishing location and the home base of the 7-boats and crews featured on Discovery Channel's “Deadliest Catch” reality series. While in Homer we were unfortunate to hit a spell of rainy weather which hampered opportunities for good photos, with the exception of this lucky rainbow shot. 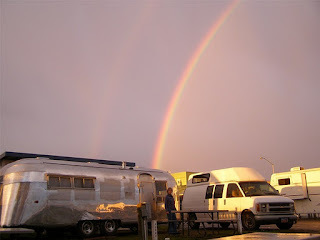 In many cultures rainbows are considered good luck. We embrace that belief, especially when it happens to come right to our doorstep. We were fortunate to catch a fascinating art exhibit at the Pratt Museum in Homer, by far one of the best small museums we have ever seen. Their exhibits cover the art, science and culture of the area with beautifully designed interactive displays. 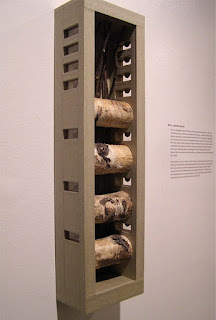 This photo shows artwork by Margo Klass who was one of three artists and one scientist featured in a special exhibit themed on Boreal Birch. Also worth seeing in Homer is the Bunnell Street Arts Center. For such a small town Homer has a lot of interesting cultural activity. We were sorry we could not stay longer. Wow, I hadn't checked out your blog in a while. Looks like you took an amazing trip. Beautiful photographs. Spike: While your photos are beautiful it's your graceful watercolor renditions that put a smile on my face! Thanks for sharing! Wow what a trip. 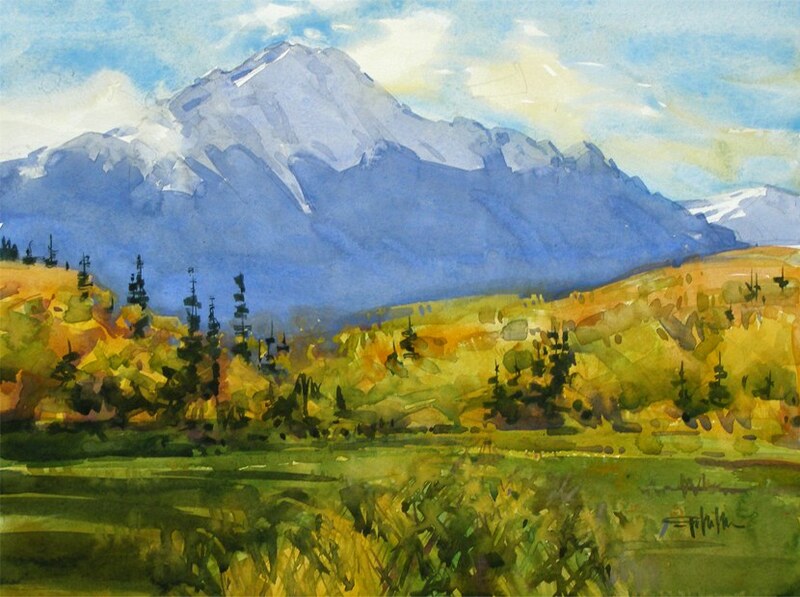 I loved that watercolor too. Your talent is so spectacular! Nice blog. Thanks for sharing such memorable sights! Thank goodness its the digital age - so many many photo opportunities - quite amazing...how many have you taken (and kept) ?. Your water colors look lovelly - really seem to capture an essence that you can't quite get from photos. Looking forward to return your home. great photo's esp. 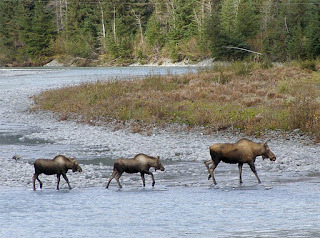 the moose shot..you must be home by now I guess cause the weather is looking bad up there..right..? 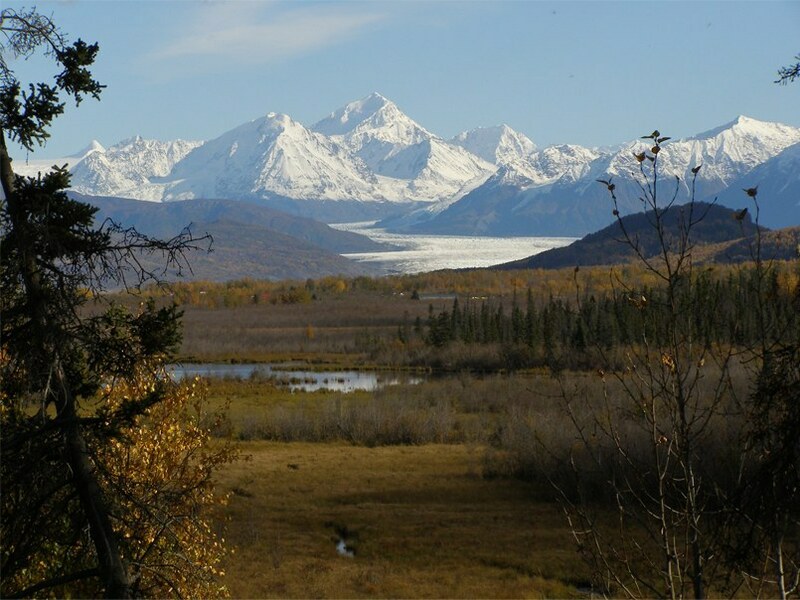 I really enjoyed my Alaska visit years ago but just flew up and back never got to see it like you folks have...lucky dogs..! I was looking for blogs about Homer to share on our site and I came across your post...If you're open to it, shoot me an email at jane(at)dwellable(dot)com.